While a Brexit ‘no-deal’ is still unlikely, it is a possibility. And in such an event all businesses need to be prepared, so today our blog explores the ways you can prepare your logistics business in advance. register for the HMRC’s EU Exit update service. On GOV.UK, search for ‘HMRC videos, webinars and email alerts’, click to register to get business help and education emails, enter your email and select ‘EU Exit’. As mentioned above, in the case of a no-deal, we would default back to trading on the WTO terms, at least initially until trade agreements have been put in place. This will likely result in higher tariffs for importers and exporters, and will impact some industries more than others. Read the Government’s paper on Classifying your goods in the UK Trade Tariff if there’s no Brexit deal here. You can also take a look at the WTO 2018 Tariff Profile document here. You should be aware that under the WTO terms, the UK would negotiate a tariff with the EU, but would also need to re-negotiate tariffs with other countries around the world, as we can no longer use the tariff relating to the EU. It’s unclear yet, in this scenario, whether the UK Government would reduce tariffs with other countries while in the process of agreeing favourable tariffs with the EU in an attempt to level the playing field. 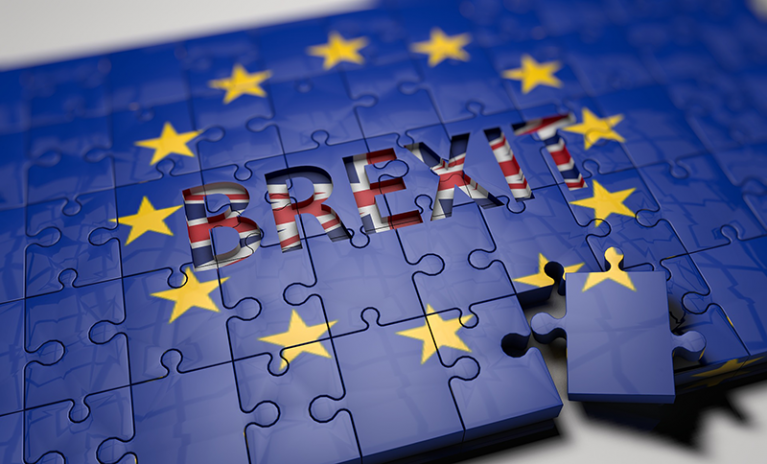 It will be a time of flux, so run a few scenarios and prepare for how your business will manage them in the event of a no-deal Brexit. The Institute Of Export & International Trade have set up Post Brexit Planning Workshops in London, Birmingham and Manchester which will run over the next few months, so if import/export is a concern for your logistics business, it may well be worth attending. If this is possible, the UK Government still has no control of what will happen on the EU side of the border. Currently 4.8 million driver freight lorries crossed to border between the continent and the UK, 4 million of these via Dover. If Chris Grayling’s promise can’t be fulfilled, drivers are possibly looking at a wait of around 45 minutes to go through customs each way, a process that is not currently necessary. And while 45 minutes doesn’t seem an obscene amount of time, waiting in a queue of thousands who all have a wait of 45 minutes – you see the problem. In addition, only 1,224 European Conference of Ministers of Transport (ECMT) permits are available to UK haulage drivers which would be necessary to transport goods into and out of the EU once Brexit is complete. That covers less than 5% of the HGVs currently driving across the border. In addition, EU lorries would also require ECMT permits to drive into the UK. We haven’t found any advice on obtaining ECMT permits from the Government or the DVSA, who control the issue of the permits. However the submission date for applications for an ECMT for the 2019 calendar year is 1st November 2018, here’s a little advice about preparing your application, find full details including ways to contact the DVSA on this link. You’ll also need to consider the countries you intend to transport goods to over the next 12 months as there are restrictions for some ECMT member countries. All industries have their own sets of rules and regulations to follow. So you should now do your research into any rules, regulations or permits you currently hold which are controlled wholly or in part by the EU. The Working Time directive, which limits the weekly time an employee can be made to work to 48 hours. It unlikely the UK Government will want this to change, so we would expect this to become UK law. The Temporary Agency Workers Directive, which ensures that those hired via agencies receive the same pay as those hired directly. Again, this one is likely to be adopted into UK law. VAT on energy bills. While it’s likely we’ll see a change in VAT, will we also see a change in VAT on energy bills? Removing VAT would save businesses a little money, it might also encourage wasteful energy usage, so probably won’t be changed. The Renewables Directive is an EU directive costing approx £4.7 billion each year, but it sets our Climate Change targets for 2020. While scraping this bill might help businesses in the short term, it would surely prove to be an unpopular move as Climate Change is currently a leading concern across the globe. The EU Climate and Energy Package is similar to the Renewables Directive in that it’s costly and is about improving the environment by reducing greenhouse gas emissions. It would be unpopular to scrap it, but it could happen. The Capital Requirements Directive IV is a banking regulation, without which business banking could change in the UK, but with regards to the fragile economy we’re likely going to have for the next decade it’s unlikely this won’t be adopted into British law. Contact industry bodies and check for guidance on what is likely to change or likely to be adopted into UK law. Prepare for any eventualities now. As with many UK goods, we do import a lot of resource from the EU, including around 50% of the timber we use to make new wooden pallets out of. We’re in the midst of a Timber Crisis this year, so whatever turbulence is kicked up by Brexit, it’s likely to have a knock-on effect in the pallet industry. As far as pallets are concerned, demand is high, so it’s critical that you keep good communication between your company and your pallet partner. 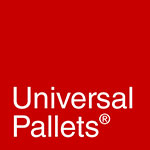 Try to let us know your requirements a little further in advance, and have any pallets not in use collected by our team to ensure efficiency. Now is a perfect time to book in a consultation with our directors who will assess your pallet needs regarding supply, pickup and repair to help your business get ahead of the curve. And for other logistic goods that you frequently use, set out a document detailing where your goods come from, investigate who supplies them, and who the suppliers suppliers are, where they’re manufactured, do they rely on imported parts? If they’re imported or you expect there could be a supply issue in the event of a no-deal Brexit, find a UK-based backup supply if available or plan how you will manage without. Preparing for Brexit is all about planning, those who plan will come out stronger. And in the event of a no-deal Brexit, the survival of your business may depend on your own no-deal plan being in-place.